(b) Disengage the 2 clamps. (c) Remove the 4 screws. 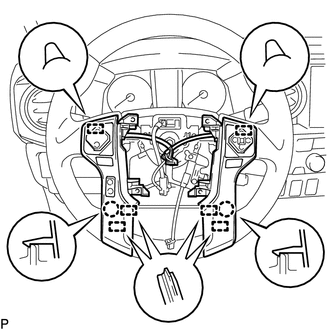 (d) Disengage the 6 guides and 2 claws to remove the steering pad switch assembly. 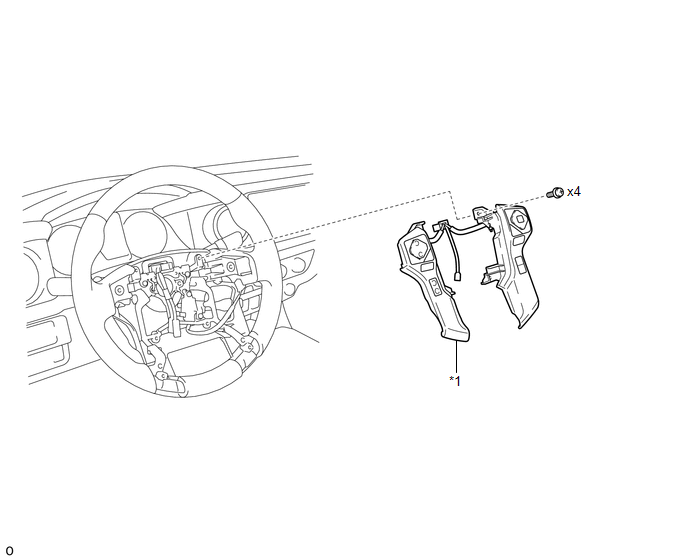 Disengage the 2 guides on the upper part of the steering pad switch assembly first. 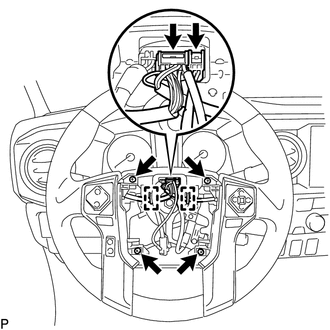 If the result is not as specified, replace the steering pad switch assembly. 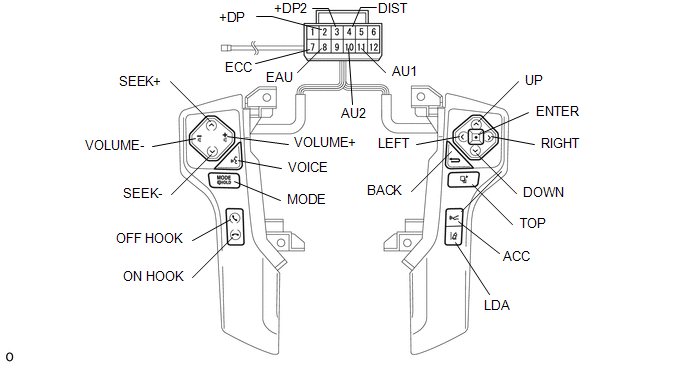 (a) Engage the 6 guides and 2 claws to install the steering pad switch assembly. (b) Install the 4 screws. (c) Engage the 2 clamps. (d) Connect the 2 connectors.